NFL Week 7 is highlighted by the most hyped and anticipated game of the 2017 season. The Atlanta Falcons travel to Foxborough for only the second time this millennium, in a rematch of the greatest Super Bowl in NFL history. The Patriots lead the all-time series 8-6 and are 5-0 in the Belichick-Brady era. 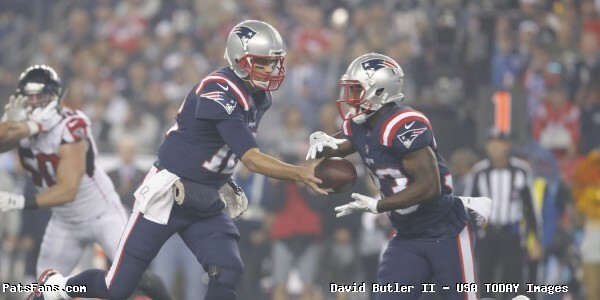 New England was listed as a 3½ point favorite for most of the week, with that number dropping to three late Friday. As of Saturday night 63% of the money bet on the spread is taking the Falcons to cover, 74% of the money line is on Atlanta, and 77% is on the point total going over 56½ points. Ironically the Pats-Falcons game will end up being no more than the second most exciting game of the week. In a departure from the usual Thursday night fare, NFL fans were treated to a wild and stunning ending to the week’s first game. If seven lead changes weren’t enough, consider the final half minute of the Raiders closing drive to beat Kansas City. Completion on 4th and 11 for a first down. Touchdown pass to tie the game. Scoring play reviewed; call reversed, out of bounds inside the one yard line. Ten second runoff; game clock down to 0:03 seconds. Penalty, offensive pass interference; TD nullified, ten yard penalty. Pass incomplete, clock at 0:00. Penalty on defense; Raiders get an untimed down. Another penalty on KC, another untimed play for Oakland. Pass complete for touchdown to tie the game. Extra point good to win the game. As a whole the public tends to place more money on the favorite than on the underdog. Those that bet the chalk in week six lost their shirt. Favorites covered the spread in a mere three games last week, and underdogs won nine of those 14 games straight up. Both home teams favored by 13½ lost (Atlanta to Miami and Denver to the Giants). In addition Minnesota knocked out Green Bay, Pittsburgh handed Kansas City their first loss, and the Chargers (at Oakland) and Bears (at Baltimore) pulled off road upsets. The 2017 has provided plenty of inconsistency, with teams looking strong one week and bad the next. Week 7 is full of games that are close matchups, at least on paper. While week six had what appeared to be plenty of blowouts (and we saw how that turned out), there are zero games with a spread of more than six points this week. Road teams are favored nearly as often as home team, accounting for many of those low odds. New Orleans at Green Bay and Tampa Bay at Buffalo appear to be the most watchable of the eight games in the early time slot. Cincinnati at Pittsburgh was flexed to a later kickoff to help improve the quality of the late afternoon games. Another good option as a prelude to the Pats-Falcons game is Denver at the Chargers. 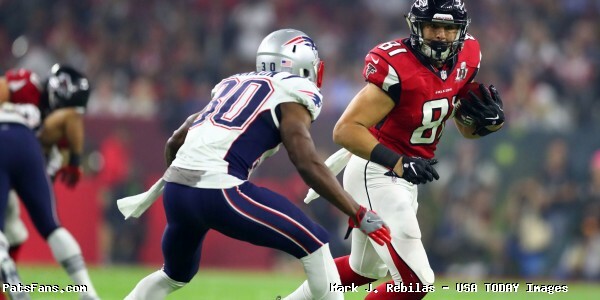 Atlanta at New England is of course the must-watch game on Sunday night. Monday night features Carson Wentz and Philadelphia hosting Washington. The Eagles went on the road to defeat Carolina last week, and now own the NFL’s best record at 5-1. The Titans have displayed an annoying penchant for playing down to the level of their opponents. However, this is the Browns we are talking about. Even if Tennessee starts slow – as they often do – the Titans should still be able to win this game with less than 100% productivity. The Colts are unable to finish games, a sign of substandard coaching. Jacksonville failed to live up to lofty expectations in 2016, but this season their defense (18.3 ppg, 312 ypg) is carrying the Jags to playoff contention. Pick: Jaguars 27, Colts 17; Jacksonville -3. Don’t be fooled by Baltimore’s record. Their wins were against the Raiders without Derek Carr, the Browns, and a Bengal team still in preseason form in week one. The Ravens home loss last week to the lowly Bears was not an anomaly. So when the dust all settled this game was cross flexed from Fox to CBS and the Miami-Jets game went from CBS to Fox. Why bother? Is anybody outside of those four fan bases going to watch either game? Mitch Trubisky looks like he will become a good NFL quarterback. But for this game the Bears are facing a well rested Panther team wanting to rid themselves of the taste of last week’s defeat. Beating the Ravens doesn’t really count for much; the Bears still have a long ways to go before becoming a contender. Adam Gase finally figured out that Jay Cutler (an NFL-worst 5.2 yards per pass attempt) was not going to lead the Dolphins to many victories. Miami made no pretense what their plan was, lining up in two or three tight end formations, and was able run the ball effectively in last week’s win at Atlanta. Expect more of the same in this game. Woody Hayes would love this game. Jameis Winston will get the start for the Bucs, despite his bum shoulder. Tampa Bay’s defense has underachieved this season, but they finally get the heart of their D – linebackers LaVonte David and Kwon Alexander – healthy and on the field together. Their productivity is key, as Buffalo RB LeSean McCoy has bounced back from a couple of sub-par games with 98 yards from scrimmage in the win at Atlanta, and 99 yards at Cincinnati. The Saints look for their fourth straight win while Green Bay QB Brent Hundley gets his first NFL start. Unfortunately for him the New Orleans defense has risen from the dead, forcing nine takeaways this season. On the other side of the ball the Saints have discovered a running game – ironically, with incumbent Mark Ingram rather than Adrian Peterson. Adrian Peterson had a big game in his debut last week, but don’t expect a repeat performance. The Arizona offensive line is still awful, and the Ram defense is much better than Tampa Bay’s injury riddled D. Jared Goff and the LA offense (a league-best 29.8 points per game) should give European NFL fans plenty of scoring to cheer for. Arizona’s defense (26.3 ppg) is nowhere near as formidable as they had been the previous four years. The Cowboys have not lived up to pre-season expectations, despite being able to play Ezekiel Elliott. After losing five straight games by a field goal or less, the Niners finally get their first W.
It is amazing to consider the possibility that Cincinnati, who looked awful in their first two games, could be in first place in the AFC North with a victory. Steeler WR Martavis Bryant, who asked to be traded due to his role in the offense, could have a big game here. In five games against the Bengals Bryant has three touchdowns, catching 21 out of 32 passes thrown his way for 257 yards. Seattle’s offensive line has caused problems for their offense. Their defense is still a force, which is bad news for an injury ravaged Giants squad. The threat of Demaryius Thomas (10 catches, 133 yards last week) will enable CJ Anderson to run the ball. The Chargers will do what they do best: lose a close game. 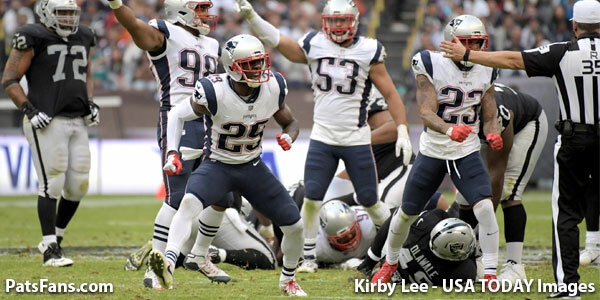 Atlanta’s offense presents difficult matchups for the Patriot defense. The Falcons get a very tiny bit of revenge, but the Super Bowl LI legacy will live long after this game is forgotten. Philly is clicking on all cylinders right now. Washington on the other hand is banged up, with injuries to both corners. 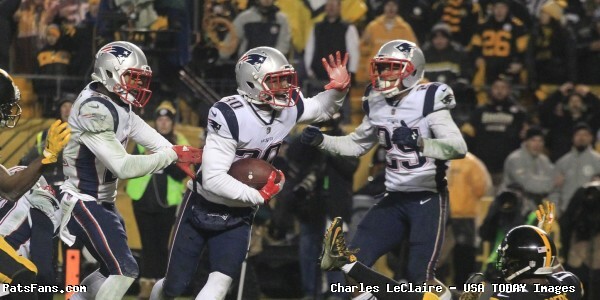 This entry was posted in 2017 Patriots Season, NFL Commentary, NFL News and tagged 2017 NFL season, against the spread, announcers, Atlanta Falcons, ATS, Baltimore Ravens, betting line, Buffalo Bills, Carolina Panthers, CBS, Chicago Bears, Cincinnati Bengals, Cleveland Browns, Denver Broncos, ESPN, FOX, Green Bay Packers, Indianapolis Colts, Jacksonville Jaguars, Kansas City Chiefs, Los Angeles Chargers, Miami Dolphins, Minnesota Vikings, NBC, New England Patriots, New Orleans Saints, New York Giants, New York Jets, nfl line week 7, nfl lines week 7, nfl week 7 odds, Oakland Raiders, odds, Patriots, Pats, Philadelphia Eagles, Pittsburgh Steelers, Seattle Seahawks, Tampa Bay Bucs, television, Tennessee Titans, thursday night football, tv, Washington Redskins, Week 7, week 7 nfl lines on October 22, 2017 by John Morgan.